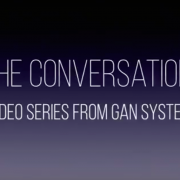 “The Conversation” is a video series in which GaN Systems’ executives engage in conversation with leaders in industries that are being revolutionized as a result of changes in power technologies. Change for these companies is not limited to their bottom line, but extends out to issues around technology’s impact on global energy consumption. Industries explored include data centers, automotive, consumer electronics, renewable energy, and industrial. 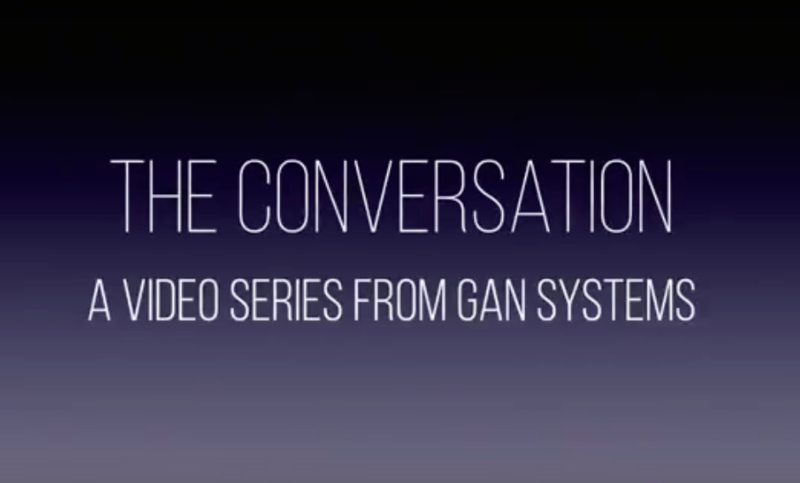 In this episode of ‘The Conversation,’ Jim Witham, CEO of GaN Systems (a leading GaN power semiconductor company) joins Stefan Heck, CEO of NAUTO (an autonomous vehicle technology company using an AI-powered connected camera network.) The topic: How power semiconductors are playing a significant role in driving change in the electric (EVs) and autonomous vehicle industry – both in the design of vehicles, but also in the impact on the data centers required to address and analyze the data that they generate. Stefan: Power technologies are a huge trend for the world – electrifying all kinds of devices. Power technologies first changed our world 100 years ago, but were now on the cusp of another whole round of change just like that. Jim: At GaN Systems were seeing a lot of companies who are really interested in saving energy but also in saving materials. The size, weight, and the cost of those materials in their power systems are important. Two of the markets where we see a lot of change happening are automotive/transportation and also data centers. At Nauto your focus is in the area of the transportation network. How do you see the power and transportation markets colliding and changing? Stefan: As we talk about ground transportation (a space both of our companies are in now), there’s a massive shift happening over the next decade toward what I called ACES – autonomous, connected, electrified, shared. This is what I mean by that: Autonomous vehicles need to be recharged, and if they are shared they can be used all day all the time – very efficiently. And as electric vehicles, they don’t have any emissions as they go around the city, so we reduce urban pollution and have a lower cost per mile. Stefan: I think those are right. Stefan: Huge difference. Almost triple. That’s triggering a whole change in car architecture. And with autonomy coming in we’re about to add even more sensors – LIDAR and SONAR and RADAR. So there’s a lot more electronics in the car both for the compute and for the sensors. Jim: I think that power semiconductors are going to play a big role in this transformation that you’re talking about. With some of the new devices that are out there you can dramatically increase the switching speed. That means that all of the components in the power system can get smaller, because as frequencies go up, size goes down. You can take the magnetics and the capacitors and make them tiny compared to what they are today. You can also increase the efficiency of the system tremendously, so heat sinks get smaller. You take metal out of the system. And when you do all that, it makes systems that are 3-4 times lighter in weight, 3-4 times smaller in size, and less expensive, because you’ve taken all of those materials away. All of that really enables the electric vehicle. Stefan: That’s really important. Not only does it get smaller and less expensive, but suddenly new opportunities open up. Once I’ve got an electric car with the power train much smaller and lighter I can make the vehicle more flexible. Jim: Big changes in the car industry. Stefan: Huge changes. It will soon be unrecognizable. We have new entrants coming in, and we’ve got pieces disaggregating. There are a lot of new components coming in, so for an OEM its an exciting time. You can completely reinvent how a car is designed, and conceived now with a flexible power electronics architecture. Jim: Stefan I read the other day that every autonomous car will put out 4 TB of information every day. If that’s the case, aren’t we looking at a tremendous amount of data coming onto our systems that we are going to have to deal with? Stefan: The data part is growing massively. But the volume of cars actually won’t grow that much. In developed countries, the total car pool is expected to shrink. Were at about a billion cars today. The developed world will drop to 2/3 or maybe half of that. The emerging markets are still growing. Jim: It’s interesting to see that auto manufacturers like BMW, Ford, and Toyota are all starting to really pay attention to data. In the past decade, I think that data centers were using about 1% of all electricity in the world. That has kicked up to about 3% today. People are talking about that going upwards to 10%, and it could be even higher with the data used by cars. Stefan: Autonomous electric cars and shared cars are going to reduce the amount of energy consumed in transportation. But near term, they’re gong to increase the amount of data center usage. So unless we make those data centers more efficient, we just transfer the heat so to speak. We really have to do something about the data centers too. Otherwise we are just shifting power consumption from one area to another.